A glowing cloud blossomed into a rainbow over southern China on 5 June, appearing at dusk over Wanning City in southern China in Hainan Province. 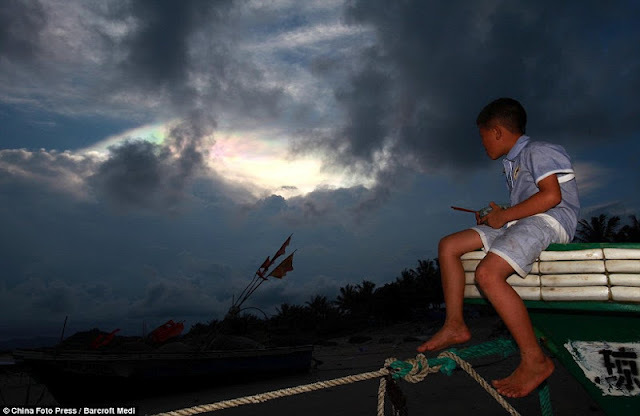 The glowing 'rainbow' was spotted first by a child on a fishing boat, and captured by a local photographer. 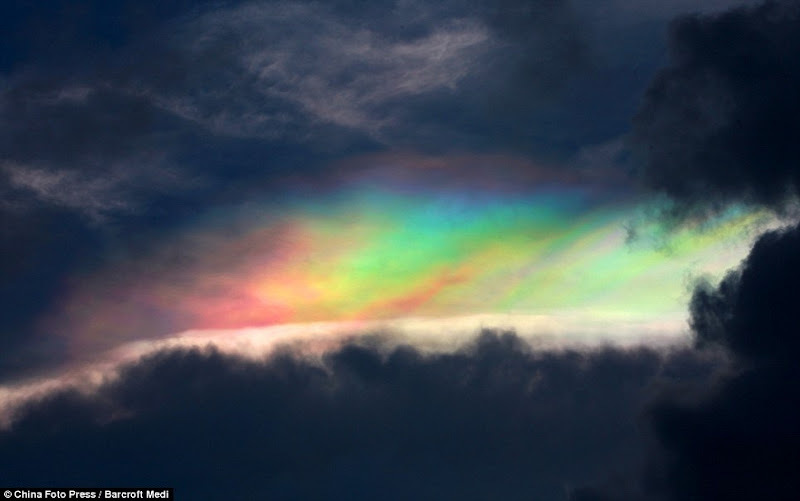 The rare effect is created by light refracting off ice crystals in clouds, rather than water particles close to Earth, creating a 'flying' rainbow. 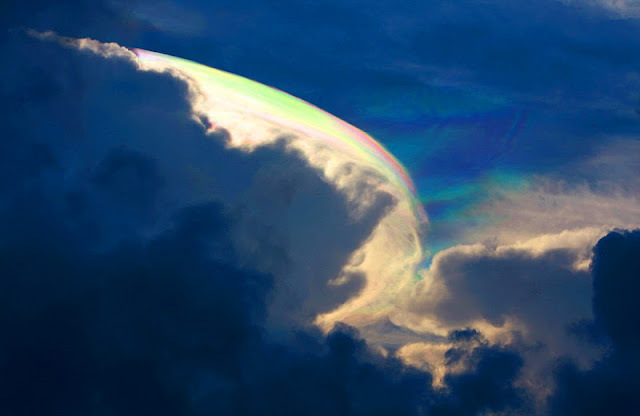 0 responses to "Floating Rainbow over the skies of Southern China"